Instructables user anagy6 is behind this Angry Birds vegetable pizza, which transforms the red bird and a green pig from the Angry Birds app into pizza toppings. The pizza recreates a scene from the app using broccoli, carrots, cauliflower, tomato, cheddar cheese, cream cheese and bacon bits. 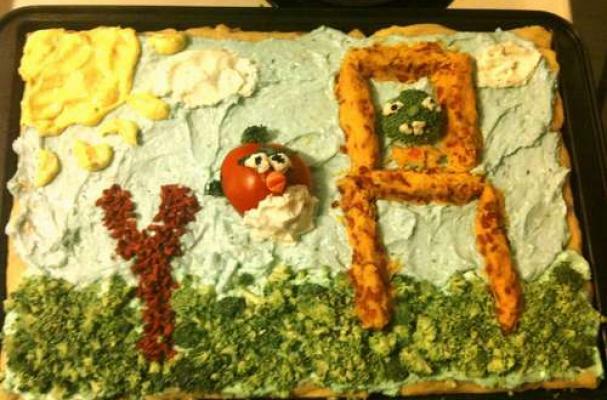 If this Angry Birds vegetable pizza doesn't do it for you, perhaps other app-themed treats like mooncakes and cakes will.